If I want to make a everyday fruit cake, unless it is the very rich type eaten at Christmas, this is the recipe I turn to. The basic recipe for ‘Knock Up’ Fruit Cake, given to my mother by a friend, can easily be adapted. This particular cake was made as a double quantity using very large tin (something I often do with this recipe) for a coffee and cake quiz evening at church. In this version, as well as dried mixed fruit I used some chopped crystallised ginger. I felt that the ginger in my cupboard was a little hard, so soaked it in the milk for about 1hr to soften before cutting up and adding to the cake. The gingery milk, of course, was reserved to add to the cake as in the instructions. I also replaced the mixed spice with powdered ginger for an extra gingery flavour and as usual topped the cake with a little sugar for added crunch. Make up quantity with dried mixed fruit up to 10ozs/285g. Mix and bake the cake using the basic recipe instructions, weighing the ginger first (beford soaking) and then making up to 10ozs/285g in weight with mixed dried fruit. Sprinkle over reserved sugar for a crunchy topping. Thank you Celia – one of my favourite recipes. It is so adaptable! 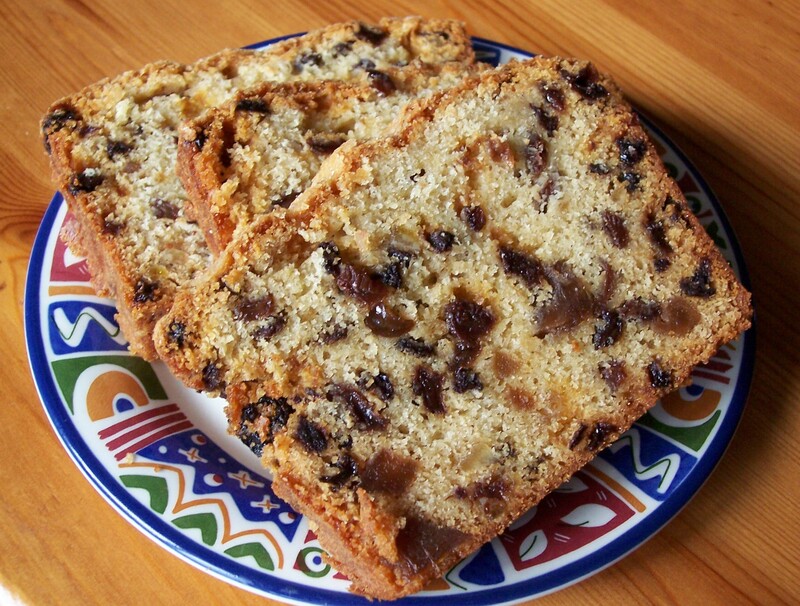 Fruit cake is a served in Jamaica at Christmas celebrations and weddings. Slightly different than the Christmas fruit cake you find in Europe or the United States, this cake is potent and rich. In the Jamaican tradition, you make many cakes at once, because it is polite to offer cake to house guests during the holiday season. If you want to adopt this tradition, you may want to double or triple the rum cake recipe.